At the Employee Recognition Celebration earlier this month, Trish Hill – Oak Ridge Principal – shared the following thoughts about Pam Dallaire. Being an educator is an investment of one’s self in the hopes and dreams of others. Pam Dallaire has embodied that investment during her 30 years of service to the children and families of Sandwich. 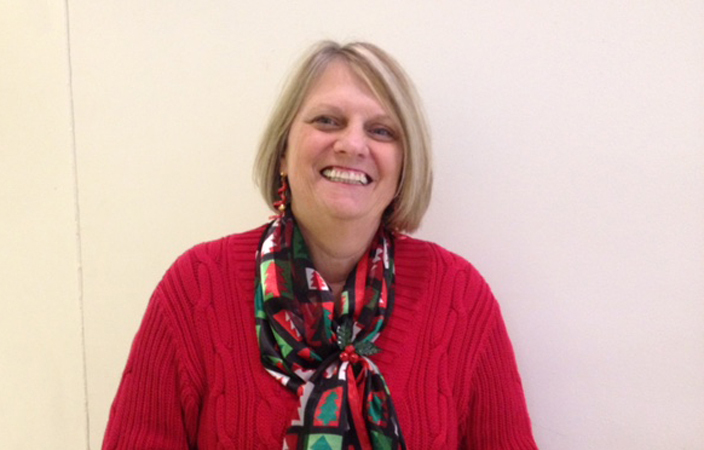 Pam began her career in Sandwich as an Art teacher at the Wing School and continued at the Oak Ridge School. Later she switched to teaching 3rd grade where we are lucky to have her make her home. In 30 years of education, Pam has seen it all, and through it all she remains a consummate professional, leader and a team player. At Oak Ridge we talk about the 7C’s as the guiding principals for our school. We are a school that values: Character, Community, Curiosity, Creativity, Collaboration, Communication and Critical Thinking. Pam embodies these characteristics as a teacher, as a colleague and as a professional. As a teacher, Pam always finds ways to make learning come alive for students whether it’s through the creativity of her annual Pilgrim play or having the most current science library around for curious scientists to explore, or using her love of art to help immerse her students more deeply into literature to deepen their character at the same time. Pam’s investment in her students is a model for others. Pam is a mentor and leader among her colleagues. As a 3rd grade teacher, others look to her knowledge and experience to guide decisions. Her advice is sought by colleagues of all grade levels and she often is that unofficial mentor that helps a newbie understand what’s what. She is generous in sharing her wisdom and in providing guidance to others. Pam has always stood up for other teachers, serving as a building representative, on negotiations committees, always working collaboratively to solve problems. As a principal, I value Pam’s wisdom, experience and advice. She is not about simply identifying the problem, but about thinking critically to find solutions. She often helps by keeping the lines of communication flowing. Believe me, when Pam speaks you definitely need to listen. I know for sure many of the behind the scene successes at Oak Ridge trace back to conversations that Pam and I have had working collaboratively on behalf of teachers. It is that dedication to teachers that has helped shaped the positive community at Oak Ridge. In her work, Pam has not only helped shaped the lives of the children in her care, but has shaped the people they will become. So although we acknowledge and recognize the past 30 years of service she has given; we also celebrate the legacy of the future she has helped shape for years to come. Please join me in thanking Pam Dallaire for all she has done on behalf of the children, families and teachers of Sandwich.